We LOVE a good linky party and we are joining TWO in this post! Yeah!! 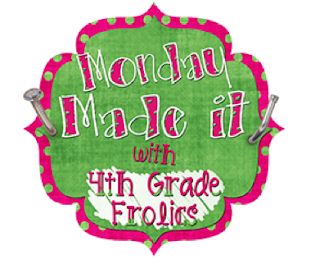 We are starting off with with "Monday Made It" with 4th Grade Frolics. 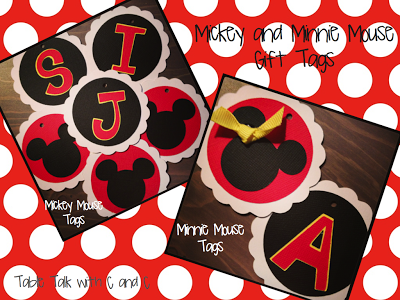 In my spare time, I love to scrapbook and create cards, invitations, gift tags, etc. This weekend I spent some time completing orders I had for my Etsy shop. One item that I get a lot of requests for are "Mousekeeping Envelopes". Now, I'll admit I haven't been to Disney since I was in high school. So, I'm not up on the etiquette at Disney, but evidently, one thing to do is to leave tips for the "Mousekeeping" staff in decorated envelopes. I think that's a fun idea!! 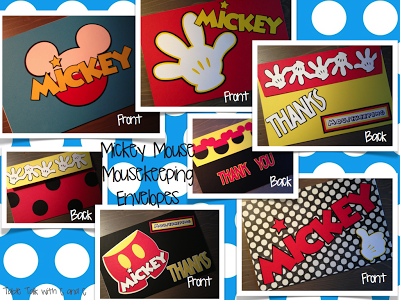 I recently got a new Disney cartridge for my Cricut so I had a lot of fun creating some new Mousekeeping envelopes! 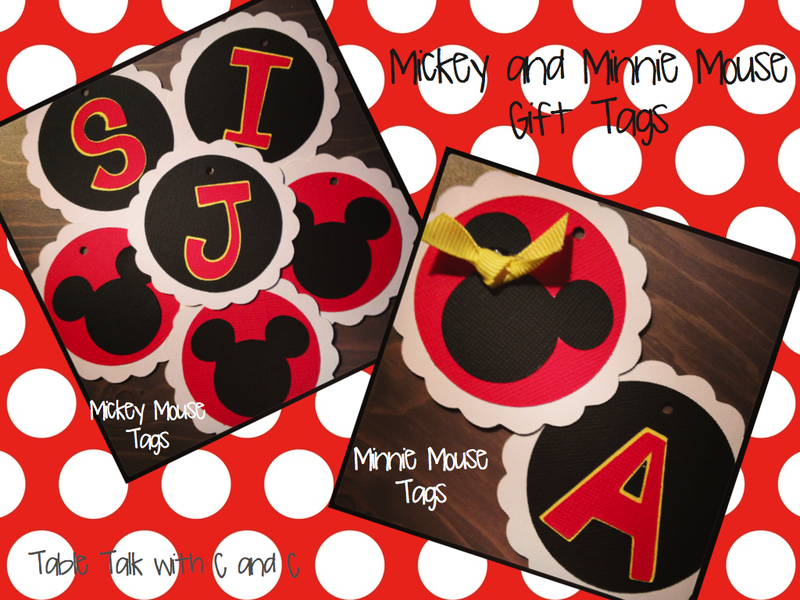 I also created some Mickey and Minnie Mouse gift tags to add to favor bags for a birthday party. 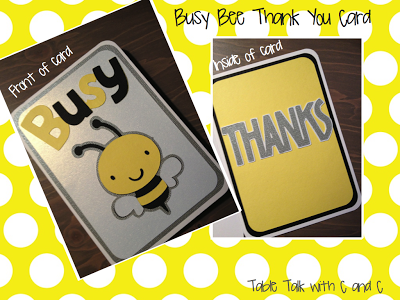 I also created a thank you card for a friend I teach with. She wanted to thank the reading teacher who works in her room for helping her out with testing. She is a bee keeper in her spare time, so my friend requested something with a bee on it. I thought it turned out pretty cute! Now, "Let's Get Acquainted"! We are also linking up with Flying Into First Grade for this week's linky party. There are 3 questions this week! As I was growing up, I loved to "play school" with my best friend. We had a whole classroom set up in the play area in our basement. My mom was also a teacher. But, as I got older, I swore I'd never be a teacher. My mom didn't believe me! I started college as a business/accounting major. After a year, I knew that wasn't for me and I switched majors. My parents were pleasantly surprised and continue to this day to remind me that I said "I'd NEVER become a teacher". I have to agree that it was one of the smartest decisions I've made! There have been many over the years, especially watching my struggling students succeed. But last week during teacher appreciation, I had a student ask me what I wanted him to bring me the next day. I told him he didn't need to get me anything and he kept insisting, so I asked him to write me a note. Now, keep in mind, this student comes from a tough home with very little support. There are days when he doesn't seem at all interested in school and doesn't understand why it's not okay to say or do things that aren't appropriate because they are okay at home. So we've worked hard on that all year. So the next day he brought me a hand written letter, with pictures he'd drawn of us on the field trip and during guided reading groups. He wrote that he likes that I make him laugh (sometimes), I'm nice, and don't give them a lot of homework. The fact that he wrote this note on his own meant a lot to me and really made my week! He's come along way this year with his academics and respect towards others. I am so proud of him! Well, that's a tough one. I would love to move to Italy and open a bakery with delicious cupcakes! Now I'm not really a great cook, so I don't think it would work out too well. But, hey - I'd be in Italy, I could handle that for sure!! On another note, we are on Instagram!!! 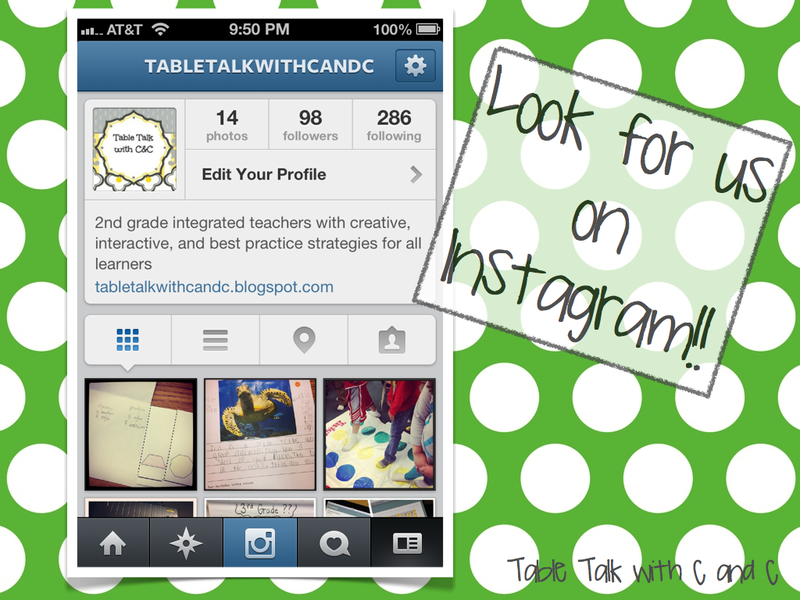 I LOVE checking out what other teachers are doing and seeing pictures of these ideas on Instagram is the best!! 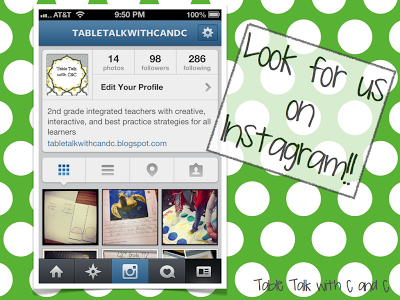 So, if you are on Instagram follow us! If you aren't, then what are you waiting for??? I think you'll love it as much as I do!! Your cards are really cute! When you take pictures during the day with Instagram, do they go to your photo stream as well, so they you have them later on your computer for blogging, etc.? Thanks Jessica! What I usually do is take pictures throughout the day with my iPhone and then add some to Instagram. Yes, they do save in my photo stream and you can upload them later and use them for blogging. I love using Instagram and adding the effects to the pictures! So fun! 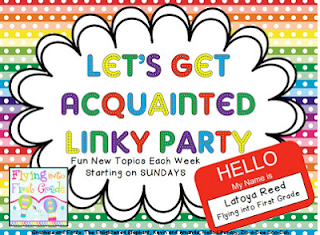 I found your blog via the Let's Get Acquainted Linky. I teach third grade now but I'm transferring to kindergarten next year...I'm beyond thrilled! I loved the letter from your student...those letters always make teaching the best profession in the world. I'm one of your new followers...I look forward to getting to know you! So happy you are following us Stephanie! Kindergarten is quite a change! So excited for you!! Heading over to check out your blog now! Love, love notes/letters/cards from the kiddo's. It always warms my heart. Especially when they take the time to do it at home. I agree! 2nd graders love writing notes and it always warms my heart!! 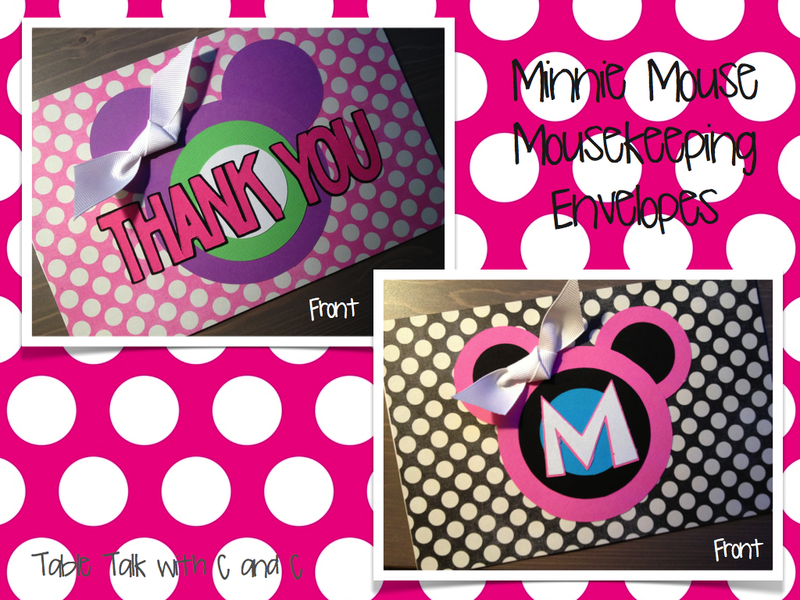 I just found some of your QR products on TPT, and then I found your blog...needless to say, I am your newest follower :) I can't wait to read more of your blog posts!! Thanks so much! We are definitely loving the QR codes and trying to learn other ways to use them!! Check back to see what new ideas we have!! I love those Mickey envelopes! Found your blog through Monday Made It...can't believe I haven't been here before! Thanks Maria!! Glad you found us! Heading over to check out your blog now!